The first day I brought Toby home, he learned how to unhook his harness. It was probably just a cheap one didn’t have a good clasp we figured. So, we went out and purchased one our trainer recommended. He got out of that one, too. Three more harnesses, a lot of money and several months later, we decided Toby should have been named Houdini and figured we would never find one he wouldn’t figure out how to either get out of or unhook. 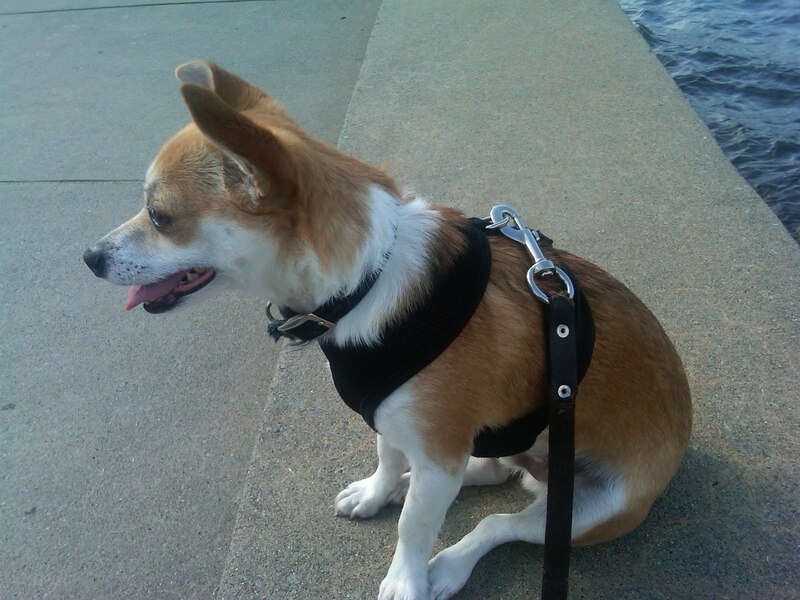 About three months ago we were in Pet Goods in Paramus, N.J. and we decided summer was here, which would mean more long walks and that it was time to maybe try another harness. 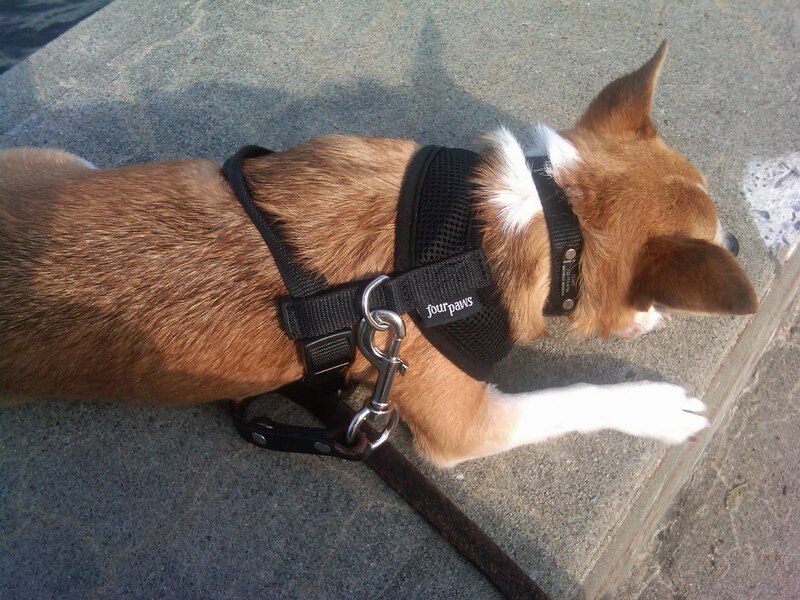 That is when we saw the Four Paws Comfort Control Harness, and decided to try it. A good sign was that Toby let me put it on him in the store without too much of a fuss. The way it’s designed, the harness goes over his head and he only has to put one paw through it. Plus, it does sit under the crease of his front legs — something he seemed not to like with other harnesses and was always scratching at. Instead it fits on his chest and hooks under his belly. His leash clasps right on to the back and gives enough room for him to be able to move freely and when he pulls, the brunt of the pressure is going around his chest and not his neck, like with a leash. So, far Toby seems to like it and we only use it when we go for walks, which he loves, so he knows when he puts it on it’s for something special (even though we take him for walks every day!..) He’s even learned to do his business, as well as lie down with the harness on — something he would never do in the past. We really like this product and 100 percent recommend it, because we’ve tried it for a few months now and think it’s a quality harness. I feel comfortable Toby is safe walking in it and it seems Toby also likes it since he hasn’t figured out how to slip out of it, prances around in it and isn’t scratching for it to come off! 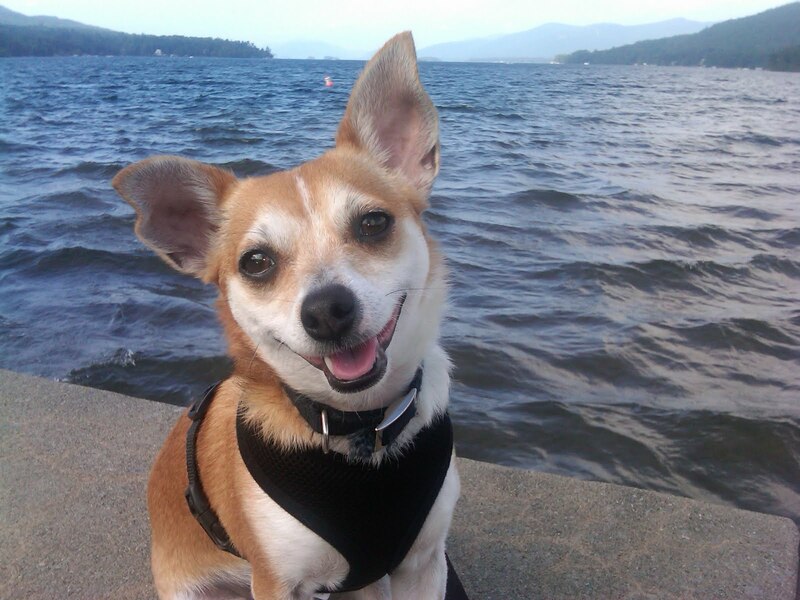 Next Post Happy Saturday Pet Blogger Hop! Toby you look very cute in that harness, too! Ooooooh, we may have to try that one! My Aussie Border Collie mix is another Houdini. She seems to be able to compact her body and slip out of any collar or leash. Thanks for the recommendation! When Pru outgrew her first harness I bought her this really pretty, pink, flowery one that looked so cute on her! Two weeks after purchase, Pru snuck out of my bedroom in the night and completely destroyed the buckle. I was incredibly sad, but that's when I discovered the Houdini proof martingale. I haven't looked back. Though I must say, if I ever go back to harnesses, I'll definitely try that comfort harness first. Toby is adorable! found you via the blog hop. when you have a second, please check out Bocci's Beefs at: http://www.boccibeefs.blogspot.com-become a follower if you will! And if you can, please add me to your blogroll-I'll do the same for you. I see you're going to blogpaws West-see you there! I'll become a follower right now. Oh Toby!! That is just a pawsome looking harness, and you are so furry handsome in it!! We especially LOVE that last picture!! It has Molly swooning!! Thanks for this heads up. My Dexter wears a harness and I never can tell which one I want or he'd be comfy with. This is great, appreciate it. And your dog melts me btw. Hey Michelle and Toby! Pru has awarded you the Versatile Blogger Award on her blog 😀 We love your blog! Love the pics of Toby and the story that goes with it. I too was spending tons of money on, as we affectionately call him, the StOOOOOOOpid dog, when I found this harness in a thrift store yesterday. So glad that we found your post because we were wondering why he couldn't fit a medium. Apparently, we were putting it on upside down! LMFAO.